The Being of a Nation road trip was an incredible experience for me, but it was one that I was starting to hold too preciously. In the late spring/early summer of this past year, I came to see that I was becoming overly worried about what to do with the stories, to the point that it was creating inaction. One day, while on a long walk, it hit me that these stories that I collected were not mine to be hoarded. They were collected so that they could be shared with the world, in the hopes of inspiring people to share their story of BEing and connect with other people’s stories. Our stories have the power and potential to connect us – and, in the end, that was the most important message I gained from talking to almost 400 people while traversing this diverse, expansive country. Listening to strangers, and giving them the space to talk to me about their BEing, was transformative for me. It helped me realize that my BE is BE Connected. This realization is what motivated me to offer Chapter BE services, and inspired me to invest in continuing my education to become a Brain-Based Narrative Coach. I have learned so much by talking to nearly 600 people over the last 6 years since I created Chapter BE, and this next chapter of my work seems like a natural progression. It is a beautiful way to combine my background in education and facilitation, with the knowledge I have gained from talking to so many people about their BEing. I am so thrilled to be able to guide other people as they reframe their stories and mindset to be aligned to the notion of “First BE, Then Do.” Creating Chapter BE has been my Chapter BE, and I am feeling very excited as I turn the page to this new chapter in my professional career. It is also important to me to share with you the incredible team of people who helped me build out the additions and changes on this website. They are all small business owners themselves, who are carving out the space to live from their BEing. There is NO way I could have done this on my own, and am so appreciative that they shared their time and talents with me. I am eternally grateful to those who trusted me enough to share their story of BEing via The Being of a Nation (even though I was a stranger, standing outside of a random van – and they had no idea who I was or what I would do with their stories), as well as to the individuals listed above who helped me get these stories out into the world. We are all connected, and we cannot walk it alone. 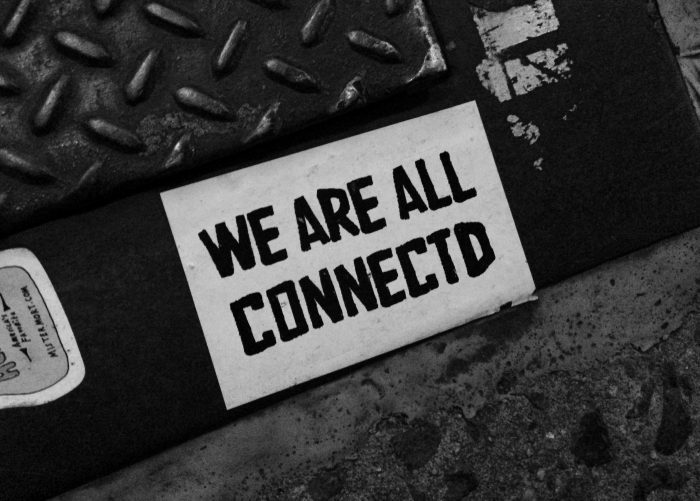 Connect to your BEing, so that you can connect to others’ BEings.